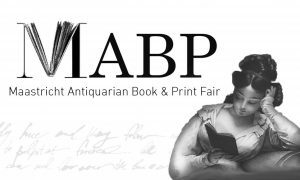 The Maastricht Antiquarian Book and Print Fair (MABP) 2019 is back from 15 to 17 March, this year focusing on the theme Erotica. The booth of Center Céramique, the Regional Historic Center Limburg (RHCL) and the University Library will stand amidst notable antiquarians in the Sint Jans Church. Come and take a look at the discoveries made by three Maastricht University students from FASoS in the treasure-trove of Maastricht institutional archives. This exhibition displays exquisite books and prints related to erotica, based on the students’ chosen subjects. You can admire the result of 4 months of research within the historic walls of the St. Jans Church.